I received an order yesterday from a studio in Miami, FL yesterday doing a photo shoot for Gymboree. They orderd two 4′ trees, a 6′ tree and lots of greenery. 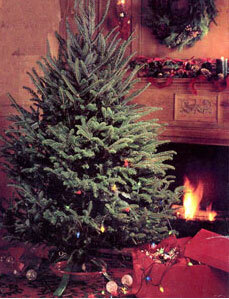 We usually receive orders for larger trees being used in photo shoots. But I could just see those cute little kids standing in front of those little trees in the season’s best. My wife was so excited to hear about their order. I thought to myself, finally I’m getting paid back for all those clothes I have bought for little Wyatt. Good luck with the trees. Think of us when you see the upcoming Gymboree ads.